Visit our all inclusive MLS® Edmonton & Area Search where you can find a variety of houses and condos for sale with photos and property information,. If you are interested in a specific area, view our Edmonton Neighbourhoods page which contains a list of all Edmonton neighbourhoods with a direct link to all current listings and Remax and other brokerages realtors and agents. Find out which Homes recently sold in Edmonton and for what price. E-mail us the details for a Free Home Evaluation. Listing with Remax gives you maximum exposure with courteous & professional service. 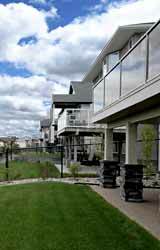 Wondering about the Edmonton Real Estate market, prices of homes and condos? Visit our up to date Edmonton Real Estate website for a more detailed look into the current market. Serving Edmonton, Sherwood Park, St.Albert, Spruce Grove, Stony Plain, Leduc, and Beaumont.